If you’re a 4WD enthusiast or are planning a major outback trip, you may have considered making some changes to your vehicle. Modifications like upgraded tyres, and a bullbar probably come to mind, along with the need to buy a high-end GPS or satellite phone. But if you’re heading well and truly off the beaten track, it’s also worth thinking about upgrading your factory 4WD suspension, for a safer and more comfortable ride. Don’t get us wrong. Factory suspension is just fine if you mainly drive on sealed roads and off-road once in a while. For anything more frequent however, your 4WD suspension is going to have a lot more to deal with. You might be negotiating not just rough corrugated roads, but rocky terrain, shallow creeks, fallen branches and steep descents. This is going to put a lot more pressure on your suspension and fast-track wear and tear. Remember too that you’re likely to be loaded up with equipment or maybe towing a van or trailer, which is a lot of added weight. So what to think about? Factory components are designed for urban terrain, so all this unexpected pressure can lead not just to accelerated wear, but to problems with handling and control. Choosing high-quality components will help ensure they last much longer and provide a smooth and safe journey. For example, factory shock absorbers may not stand up to the constant up and down movement of the dreaded corrugations. Remote reservoir shocks can last a lot longer, because they are less prone to overheating. Some shock absorbers can be adjusted to fine-tune their performance according to your needs. Stiffer springs or thicker torsion bars can improve the ride if you’re loaded to the roof racks with gear. You might also want to check the suspension bushes for wear and tear, and replace if necessary. Rubber bushes are harder-wearing than polyurethane options, and are better at isolating vibrations and absorbing impact. Poly bushes tend to crack easily under rough conditions. If you do want to upgrade, then take a look at our inventory for the range of 4WD suspension and other components, or feel free to get in touch. 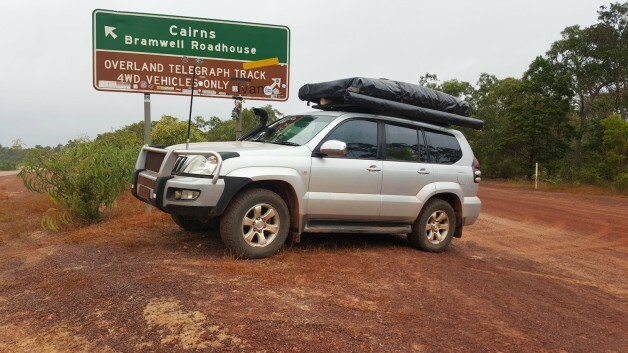 We can help you select the best parts to ensure that when you hit outback roads, your 4WD is ready.